Phenom HUB offers a stunning career site engineered to attract, engage, and convert top quality candidates by providing an experience unprecedented in talent acquisition. Boost your career site traffic by 52% - 94% on average. Watch candidates stay on your career site 237% longer. Improve talent quality and increase conversions by 350%. Phenom People unites beauty and functionality to bring your candidates a personalized experience with a totally custom-made design. Predictive search provides results as the job seeker types by job title, job category or location. Semantic intelligence connects links between words and phrases to predict the candidate's intent. 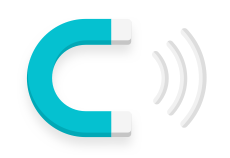 Enable a LinkedIn login so candidates can easily personalize their journey on your site. Personalized job recommendations based on skills, experience, and background. Archive the jobs the candidate has previously visited so they can revert back anytime. Adapt to the candidate's interests and behavior by serving up articles that relate to them. Display content based on popularity to keep your news fresh and relevant. Curate video content to increase your probability of engagement. 40% of your career site traffic lands on the job description page. Curate a feed of related opportunities to prevent abandonment and keep their journey going. 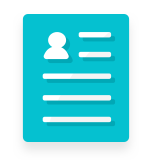 With advanced parsing technology, candidates benefit from autofilled application forms when they sign in with LinkedIn or upload their resume via the cloud. Virtually all Phenom Hub desktop features are available on mobile. Our goal is to keep the journey consistently awesome on any device. 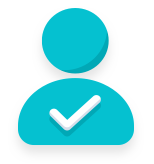 Each candidate gets access to their very own portal where they can track their application status, manage alerts, reach out to the recruiter directly, and more. "Phenom People has allowed us to create a seamless career site experience without switching out our applicant tracking system. Our team is able to post positions and candidates can get all the information they need to make a quick decision and apply directly from our website. The candidate application goes into our ATS so our recruiters can review applications and contact qualified applicants much more efficiently." 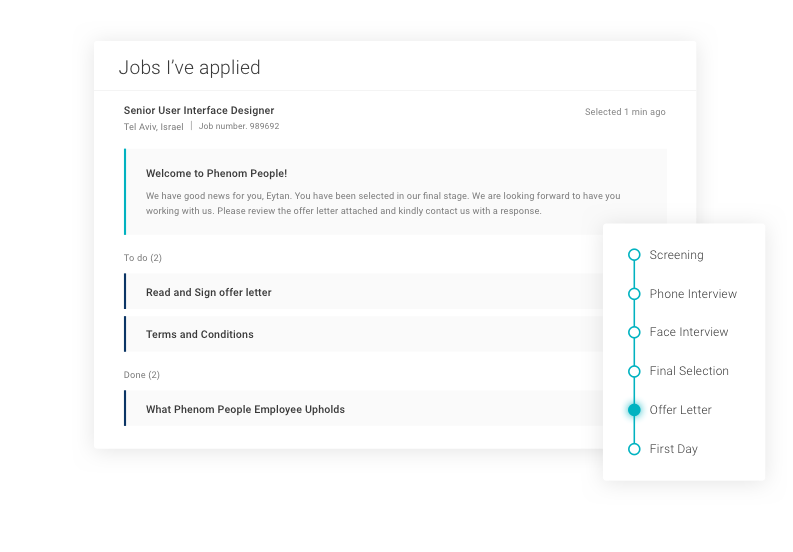 Using machine learning and artificial intelligence, the Phenom People Platform detects and identifies job seekers before they apply. Allow existing employees to search for internal jobs, get job recommendations, develop a career plan, and recommend people within their social network.